Hi, friends! I’m really excited to welcome my good friend, Kristie, as a guest blogger today! 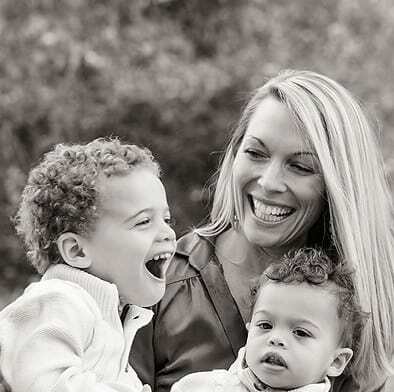 Kristie has two boys that are roughly the same ages as my older two boys…so needless to say, we have a lot of very active play dates together and we share a lot in common! 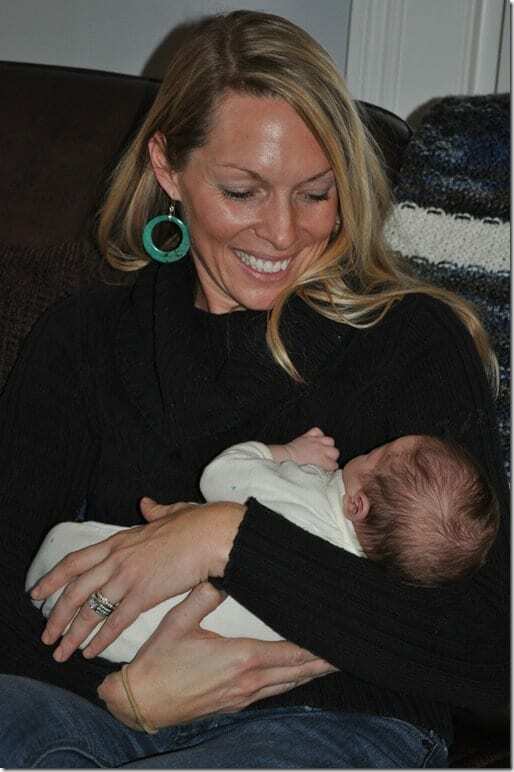 Kristie is an experienced educator who taught at Millstone of Ivy while attaining her Master’s degree in Education. 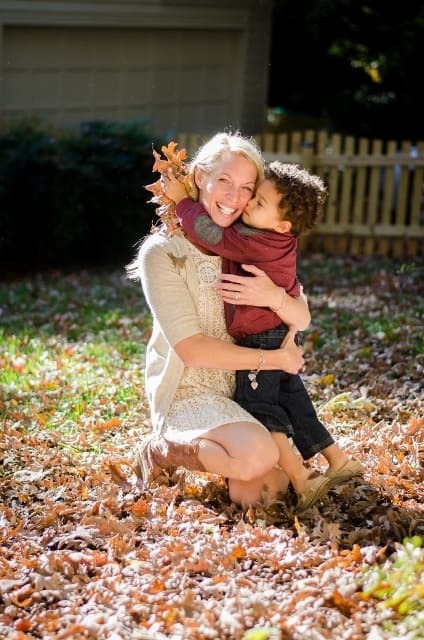 She also taught at The Peabody School and for Albemarle County Public Schools before ultimately deciding to stay home with her own children and open Charlottesville Beautiful MINDS Preschool. Kristie’s preschool is an amazing resource for families in Central Virginia, and for the first time this year she is even offering summer camp options for local preschoolers. Most importantly, Kristie is an incredibly loving mother and a dear friend, who was kind enough to answer my request for some fun summer ideas for regular ol’ moms like me! I can’t be the only one who is in a slight panic at the thought of having all 3 kids at home all day and BORED for the summer. These suggestions for How to Create Your Own Summer Camp at Home should get us all off to a good start! 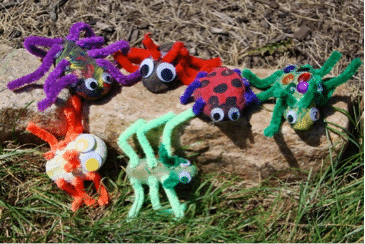 Warmer weather is here just in time for you and your little ones to explore the environment nature offers. Using the clues Mother Nature provides us; your child can explore all of their senses with a Nature Week. 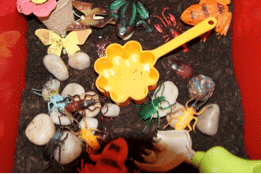 Activities can include nature walks where your children can learn about insects, plants, the elements and more. Discover the great outdoors as little campers during a “camping-out” themed day. 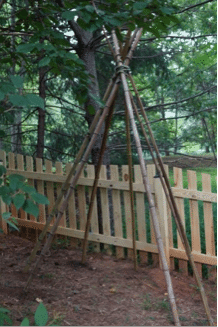 Using fallen bamboo reeds from our neighborhood and bungee cords, you and your little ones can create a teepee. This winter’s snow may have left large fallen limbs – a great alternative to bamboo reeds. Have them help you hold the lightweight reeds while you secure them at the top. 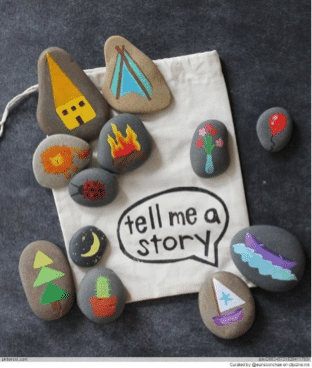 Use imagination to tell stories in your teepee nature house or gather logs and make pretend fires that “roast” your marshmallows on sticks. 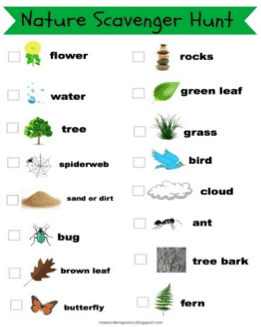 A Nature Scavenger Hunt can be a great way for your child to get in tune with their senses by exploring their environment while exercising some competitive spirit. The good news for you, nature has provided most of the materials you need! You can either print or hand-draw the items available in your yard or neighborhood on a sheet of paper. 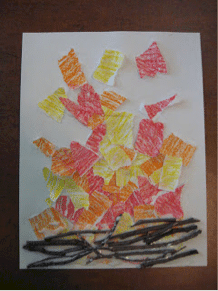 Issue the sheet and a crayon and see which child is first to find all the items. Some of the items may be fleeting, bugs, birds, butterflies. 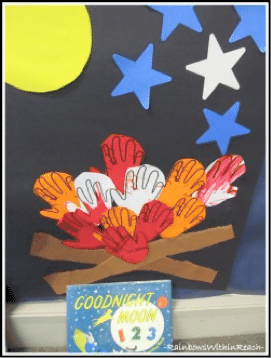 Have the children describe what they saw. 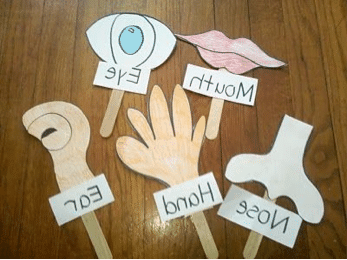 This will help to exercise recall memory, communication and imagination. Being outdoors is a great time to exercise with nature walks. 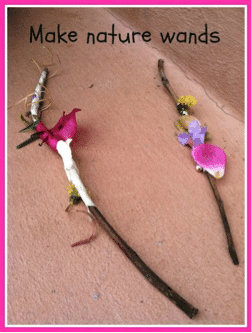 Start this day with painting walking sticks and decorate nature wands for our nature walks. Painting uses your child’s imagination as well as fine motor skills. Prepare you young ones for the adventure they’re about to embark with their walking sticks and nature wands (while the paint dries). Then let nature frame your narrative while you all talk about what you see. 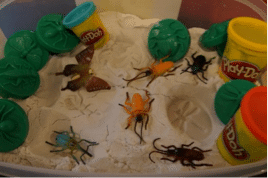 In addition to outdoor fun, your kids can enjoy some indoor camping without bugs. Build your own indoor tents from a Discovery Kids Build and Play Construction Fort. 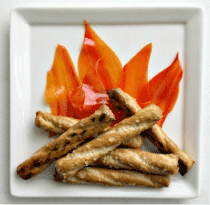 Share camp stories, enjoy camping snacks and create your own camp fires. 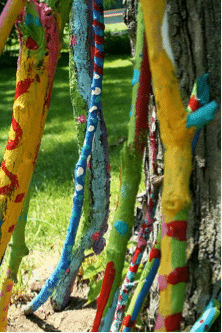 Of course, there are also plenty of other arts, crafts, and sensory play activities to include as well. It’s also a perfect opportunity to discuss fire safety! 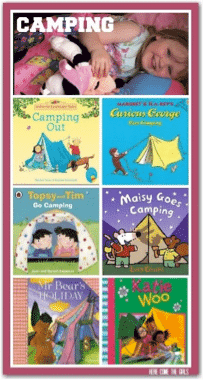 And don’t forget the Camp Stories! 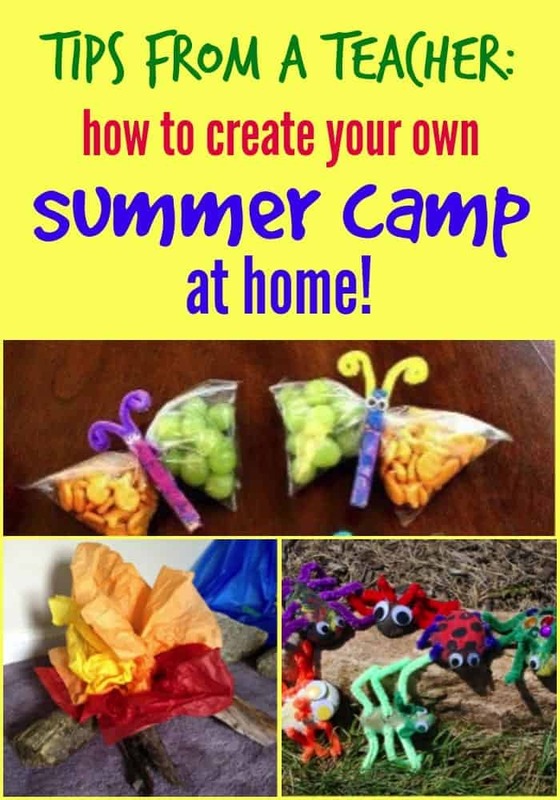 Start your planning now for a fun summer at home with your little ones! 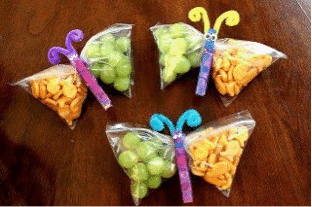 And if you’d like even more ideas and themes, visit Charlottesville Beautiful MINDS Preschool, LLC on Facebook or head over to the school’s website. Great ideas! I have four kids and was actually thinking about hosting a summer camp. Linking up through the Linky Party! Thanks for stopping by, Melissa! I think I will probably do the same!